October 8: Arrival at our four-star hotel in Orvieto. Late afternoon meeting of the group. October 9: Morning visit to the magnificent and unique town of Cività di Bagnoregio. Lunch will be in the hidden-away town of Civitella D’Agliano in a cantina carved from tufo. The local cuisine will be served by Sergio Mattura, and a large variety of wines will be offered for tasting. Afternoon tour of Viterbo. (Lunch is included.) Overnight Orvieto. 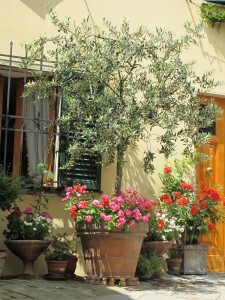 October 10: Morning travel to the Val d’Orcia to visit the idealistic town of Pienza. Lunch will be served from the organic products such as cheeses, wines, and vegetables at the Fattotia il Casale where we will enjoy one of the most fantastic views overlooking all of Tuscany. Afternoon visit to the beautiful Montepulciano where we will meet many craftsmen including our guide Michelangelo’s good friend, copper smith Cesare Mazzetti, who will share with us the secrets of copper-making. Later we will tour the historic Redi cantina inside Palazzo Ricci. (Lunch is included). Overnight Orvieto. 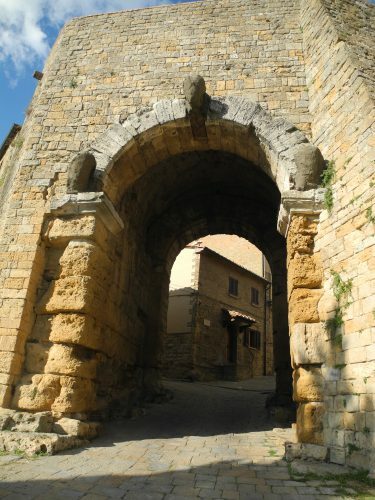 October 11: Le città del Tufo: Pitigliano, Sorano and Sovana. Today we will discover 3 wondrous cities with ancient Etruscan streets dug into the tufo, a fairytale landscape little touched by tourism. There will be an optional walk to the incredible hermitage of Poggio Conte, a rock church of rare charm in a magical place. Lunch will be at the Osteria di Ceccottino in Pitigliano. (Lunch is included.) Overnight Orvieto. October 12: Today we will be transferring to our five-star hotel in Perugia. After a morning stop in Todi to visit the town we will stop at Deruta. At lunch we move to the medieval village of Bevagna where after visiting a medieval house built inside an ancient Roman theater, we will discover the Gaite with their various arts: paper, silk, etc. to learn how these were produced in the Middle Ages. For the silk arts, we will see a machine from the 1300’s that is an absolute marvel. Overnight Perugia. October 13: The day begins with a walk through the streets of the great historic center of Spoleto. We begin the visit with the remains of the Roman theater and continue towards the Piazza del Mercato with its Renaissance architecture and clear traces of the Roman era. The walk continues in the upper area of Spoleto where there is the imposing and majestic bulk of the Duomo, a precious jewel of Romanesque architecture enriched internally by the frescoes of Filippo Lippi painted just before his death. The visit ends with the marvelous bridge of the aqueduct with its towers dating back to Roman times. The aqueduct/bridge connected Spoleto to the world and verdant hill of Monteluco. Lunch will be at the Osteria del Matto for an encounter with the tastes and people of the true Umbrian tradition. In the afternoon we visit Spello. This small Umbrian town possesses the best preserved city walls in Italy belonging to the Roman era. The Consular Door and the Port of Venus are of great beauty. 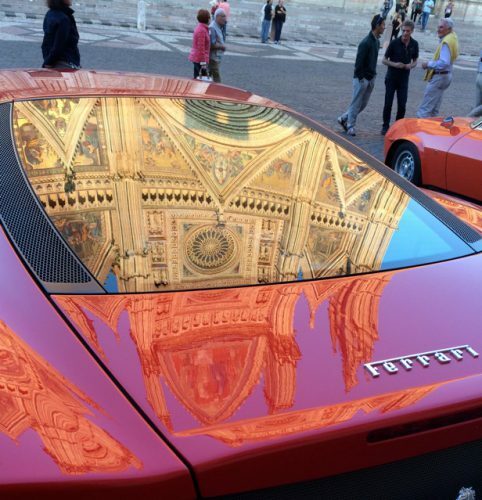 The visit ends with the church of Santa Maria Maggiore adorned with the frescoes of Pinturicchio. (Lunch is included.) Overnight Perugia. 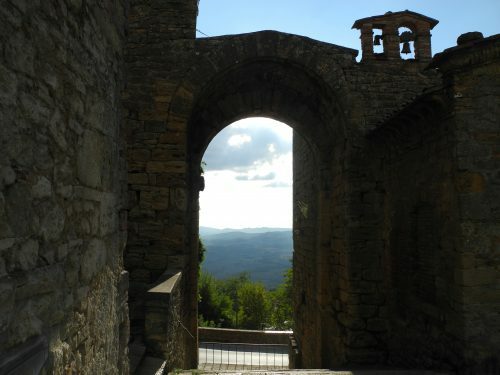 October 14: We begin the visit to Montalcino at the Fortezza built in the 1300’s from where we will enjoy a beautiful view of the Val d’Orcia. The walk continues along the walls up to the terrace overlooking the city with a view all the way to Siena. From here walking through the medieval alleys of Montalcino, we head to the main square where we end our tour with a glass of good Brunello, the world-famous local wine. The morning continues with a visit to one of the best wine cellars of Brunello and a tasting of the king of the wines of this area. Lunch at Sant’Angelo in Colle in a small family-run Trattoria. In the afternoon we will return to Perugia, one of the twelve Etruscan towns, for a tour of the walls and the historic center. There will be time for shopping at the conclusion of the tour. Price for this trip: $2296; there is a single supplement. What this price includes: lodging in a 4-star hotel in Orvieto and a 5-star hotel in Perugia, 7 breakfasts, 6 lunches, all transportation, expert guiding by Michelangelo and Francesca Marsili. 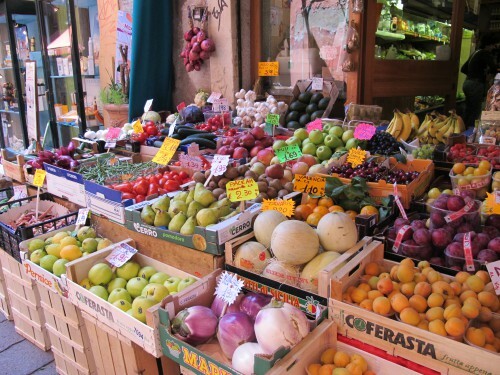 What this price does not include: transportation to Orvieto and from Perugia, dinners. Inside Italy Tours encourages all travelers to purchase travel protection. 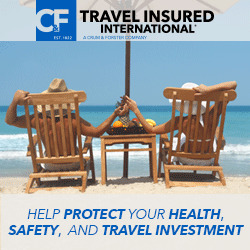 Click on the icon on this page or the home page and choose your travel protection plan.